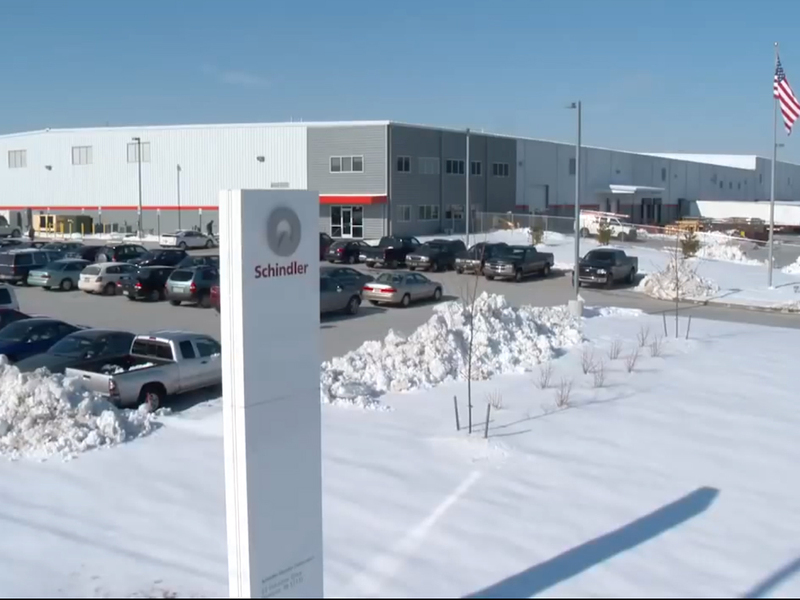 Schindler Elevator Corporation has opened its state-of-the-art manufacturing facility in Hanover, Pennsylvania. The facility reinforces Schindler’s commitment to environmental protection and sustainability, earning North America’s first LEED Gold green building certification for an elevator manufacturing plant. Schindler’s overall commitment to sustainability reflects a long-term investment in more than simply a clean, healthy environment – it also signifies smart business practices and a way of life. As a leading designer, manufacturer and supplier of elevators, escalators and moving walks, Schindler has comprehensive targets for responsible economic, environmental and social performance. This places the company in a unique position to contribute to the sustainability of rapidly growing urban environments. Schindler is focused on reducing the energy required for its products, services and operations; supporting sustainable urban development; and making safety, accessibility and respect for everyone top priorities. The Hanover facility serves as a model for future Schindler production facilities around the globe. Find out more about the Hanover facility’s sustainable production and order fulfillment features with this infographic.